Emotional intelligence, the power of persuasion, rhetoric, and precision in action and thought are all requirements for successful managers and entrepreneurs. Any manager with willpower and rigorous discipline can work on these aspects. Sales coaching with Martin Limbeck is not an optional luxury but an important investment in your own career and company. In his approach to sales coaching, Limbeck is a consistently demanding sparring partner, who looks to test his participants through intensive interviews. He employs his talent and his experience to develop the conditioning, motivation, and performance of his trainee. Those who really wish to know where they stand will engage in individual interviews, on-the-job training, and open, constructive feedback under Martin Limbeck’s guidance in the effective process of sales coaching. Pro coach Limbeck uses his sales coaching to develop top team leaders who stand out in virtue of their high performance and sustained motivation. The sales coaching is complemented by a personality profile analysis using “INSIGHTS MDI®” which facilitates a professional evaluation of the qualifications, skills, values, and behavioral preferences of the individual. Martin Limbeck is a licensed trainer and consultant of INSIGHTS International® Germany. 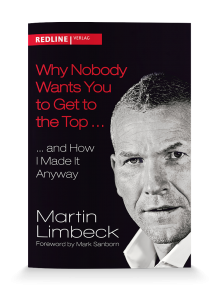 Become a top seller with Martin Limbeck: Make your coaching appointment today.